Mr. Davis has received AV Peer Review recognition by Martindale-Hubbell for over two decades. Since 2010, he has been selected as a Super Lawyer for the New York Metro Area each year. And in 2013, Mr. Davis was inducted as a Fellow in the Litigation Counsel of America, the trial lawyer honorary society. He has served on the Committee on Professional Ethics for the New York County Lawyers' Association. Mr. Davis writes and lectures on copyright and litigation issues. 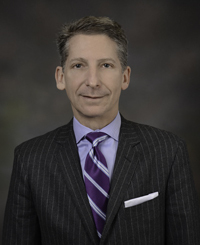 Mr. Davis serves on the Board of Directors for the Children’s Cancer & Blood Foundation, which supports the New York-Presbyterian Hospital/Weill Cornell Medical Center.